As a mother of 2 kids, I noticed my skin is getting worsen compare with those days. Sagging, yellowish, very dehydrated, and peeling sometimes. I seldom apply lotion cause I dislike the sticky/ oily touch left on my skin. 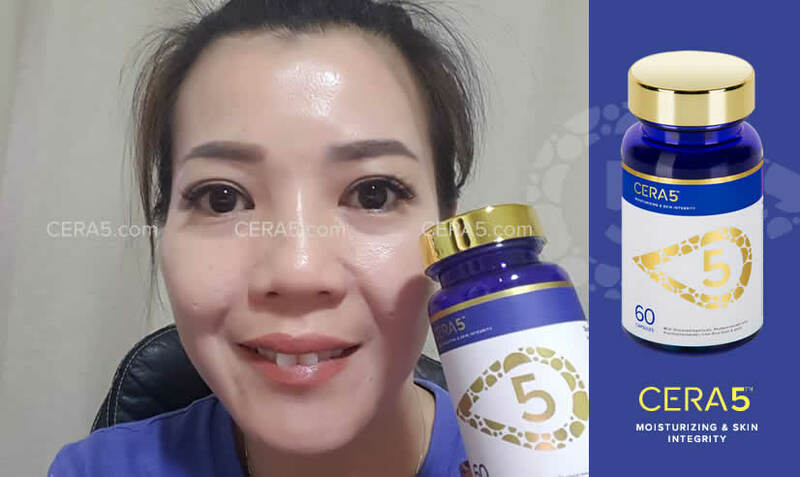 Recommended by my sister, I have been taking Cera 5 for almost a month. I would say this is really amazing! No joke, my skin is silky smooth and moisture now. And I can't believe it could turn my skin pinkish from yellowish, this is what I always wish for. Cera 5 has become my daily essential now. Being a major beauty enthusiast and a perfectionist, I am constantly looking for ways to improve how I look on the outside, so that I would feel good on the inside as well. CERA5 gives me that and more. It helps me to hydrate and moisturize my skin internally, and at the same time keeps my insides hydrated and healthy. It’s more than just moisturizing, it’s far better than any expensive lotions or moisturizers, as it keeps my face and whole body well-hydrated 24 hours a day without having to keep applying products all over myself. And the best part is, I no longer have to put up with that unpleasant sticky feeling, or leave lotion residues on everything I touch. It also works wonder on improving my overall complexion. It has just been a few months but the fine lines and wrinkles on my face and neck are already disappearing. I look so much younger now with this natural glow that is always there even when I don’t have any makeup on. I would like to tell some of my incidents after hv cera 5 for few weeks. I suffered Eczema during August, 2018. The Eczema was caused by wearing a fake necklace n lipstick. Doctor warmed tat I totally cannot use any skin care products, everything need to start frm baby skin care including hair shampoo. Then wat I hv to care about my face n skin , I searched and found tat instead of failing to hv skin care products, I need to Tk care my face/skin frm inside n outside frm having a good product ! Then I tried CERA 5 to care my face .. it seems help me a lot n look fine. My skin is more hydra n looks good!! My skin was dry, sensitive and prone to irritation. I have tried different types of creams and lotions under the recommendation of friends as well as dermatologists, but all of them only bring temporary effects and doesn’t serve as a permanent solution. Plus, I have a very busy schedule and I barely have time to spend with my loved ones, what more to spend hours to apply and rub various creams and lotions on my face and body multiple times a day. So when I was introduced to CERA5, I knew that this is the perfect solution that I’ve been looking for. Because that is required of me is a few seconds to take it in the morning. It sounded too good to be true, but the result speaks for itself. I’m only on my second bottle now and my skin condition has already improved tremendously! I noticed that my skin always appears well-hydrated and supple all over. My sensitive skin problems have also greatly improved. I can’t wait to see how my skin will continue to improve after this. I really love CERA5! I lead a very busy lifestyle. My days are filled with work, meeting clients, hanging out with my crazy besties partying the nights away, and spending the weekends at the beach soaking in the sunshine with my family. The accumulated effects of my lifestyle started to bother me as my skin started sending me calls for help. My skin appeared dull and dry, and started peeling at some parts. It was no longer a joy applying my makeup as my skin’s state of dehydration has literally made it a mission impossible. 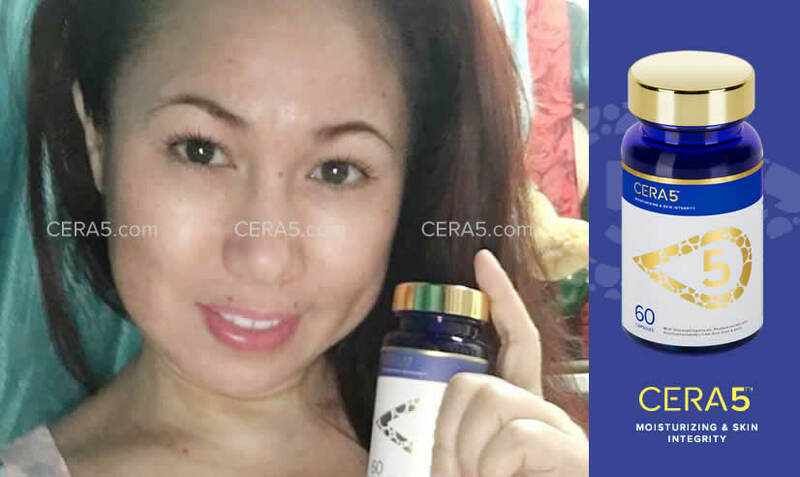 I started researching on the key reason behind this sudden change of my skin, that is when I found out about how important skin nutrition is to our skin’s health and beauty. 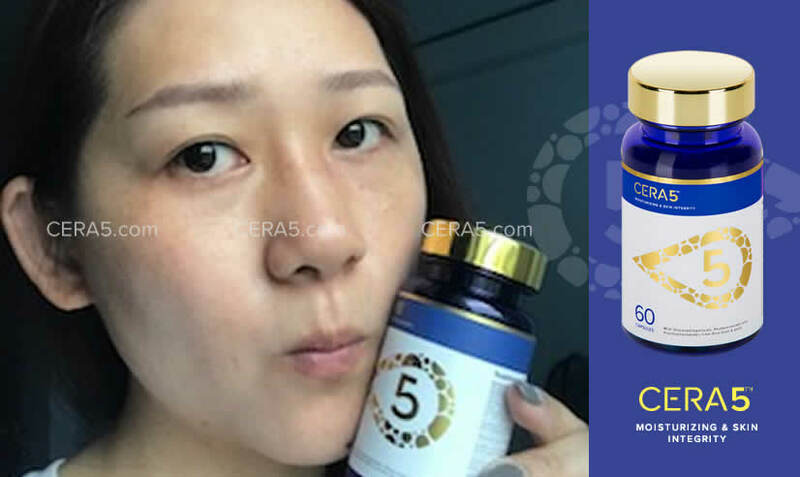 At the same time, I also came across CERA5 while I was searching for the best solution to my skin problem. I decided to give it a shot and boy I’m super glad that I did! Within the first week I already started noticing major improvements as my skin started to stop peeling, and my skin no longer have that stretchy feeling that you get when your skin is dehydrated. Now that I’ve been taking this product for more than a year, my skin has never looked so good. Applying makeup is a joy and a piece of cake now that my skin is super soft with this natural glow. My favourite thing about this product is that it allows me to obtain that perfect sun-kissed skin that I love so much without harming my skin. 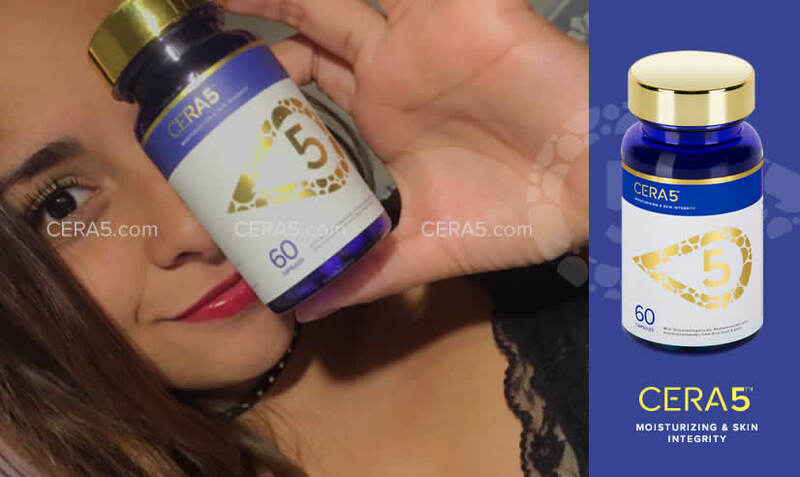 CERA5 is truly a life-saver! 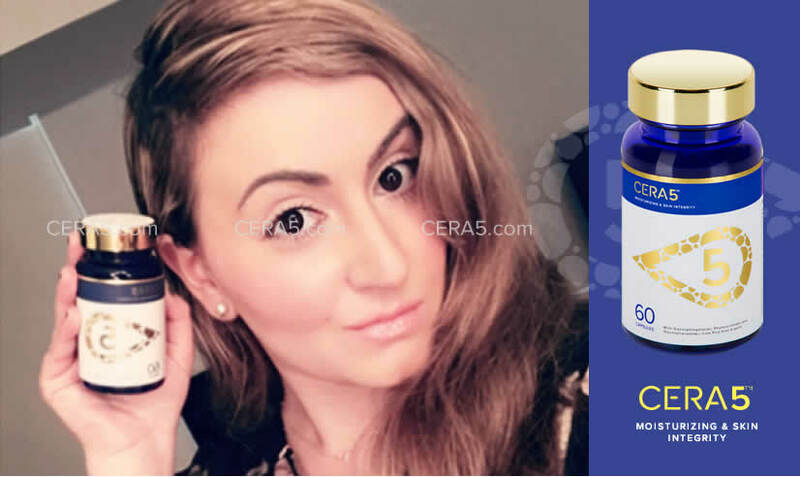 I had been taking the product for 6 months, therefore i would like to share my personal experience. I used to have dry skin due to my eczema rashes. I often have sudden flare up rashes on my face as well as chubby baby fats on my cheeks. When I started to know this product through Facebook, in my heart I’m thinking, is that product that good ?? 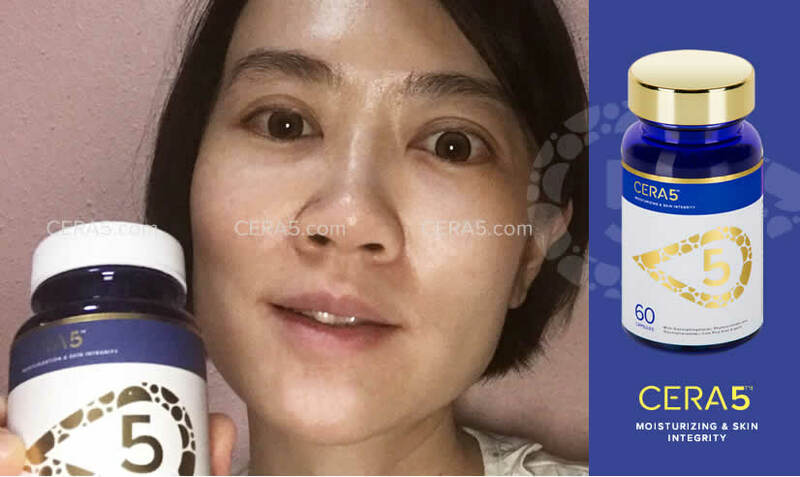 I had been changing skincare or supplements very often due to skin condition isn’t stable. So I must well give it a try, another disappointment doesn’t make a big deal. Now I saw huge difference on me, rashes doesn’t flare up as often, younger skin and moisture. I can maintain my skin without dryness easily and most importantly my baby fats are gone. Cheeks bone are more obvious and lean . Positive feedbacks are well given on my skins, at least 5 years younger. I suffer with allergic skin for long term, my skin like peeling during algid weather. 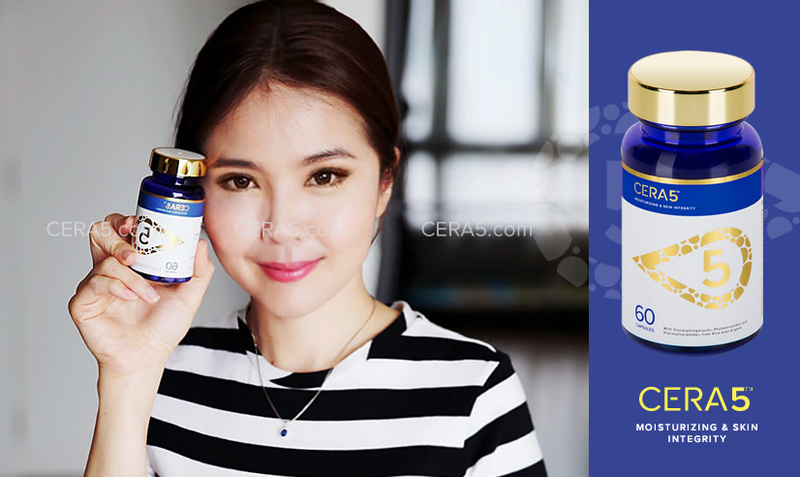 CERA5 does help Instant relieve for dry skin & itchiness. 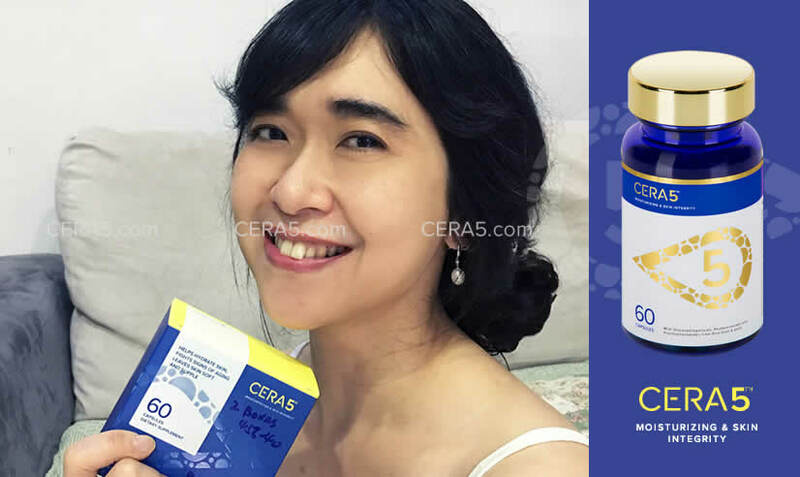 After taken CERA5 for few months, my skin become more moisture and firm. 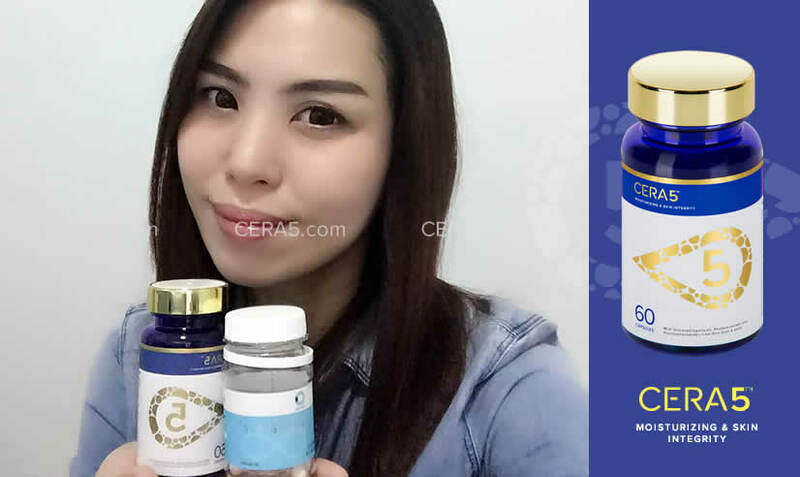 CERA5 is the BEST product that gives me long-term hydrated skin. Totally worth the price. 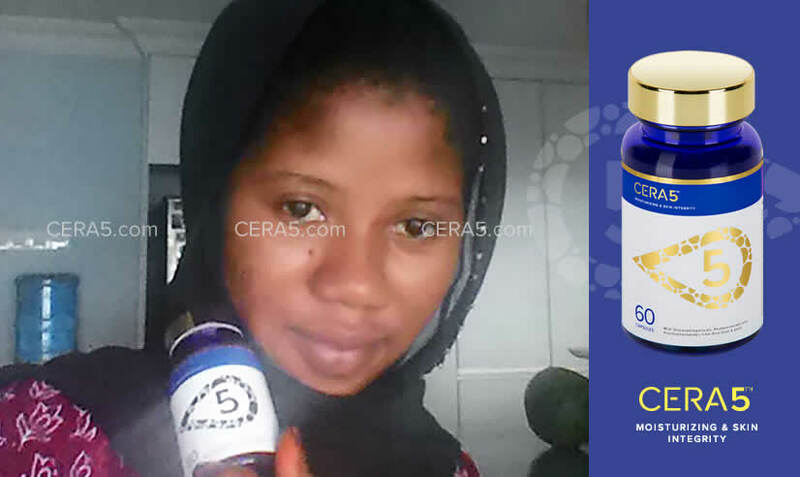 I have used CERA5 every morning before breakfast for some time now. 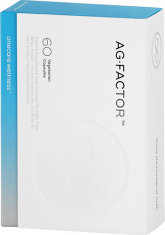 It is a native vitamin c and natural supplement that improves wrinkle reduction, elasticity, and fight sign of aging. I am satisfied to the results after 3 months. My skin has turn out healthier, younger, and smoother skin. It is best to take this on an empty stomach, The effect will be more evident. I used my entire bottle prior to finally writing this so I could be fair. My skin is loving Cera5. In the past month my skin has become softer, less dry, and the fine wrinkles that ladies start getting in their forties, they are lightening. This product did not upset my tummy at all. Loving this product. It has made the texture of my skin feel so much better in just a short amount of time. I cant wait to see more long term effects. This is a good one. I’ve always had problems with my skin and nothing I tried would make it feel better. I do not have the best skin, and I am constantly trying creams and supplements. After trying Cera5 for 2 weeks I am incredibly pleased! Works from the inside out. Great for my complexion. Makes skin look healthier, vibrant and created a youthful glow as described by friends! Awesome ingredients even the packaging is cute! Very satisfied with this purchase. I would recommend it to anyone looking to improve their skin!